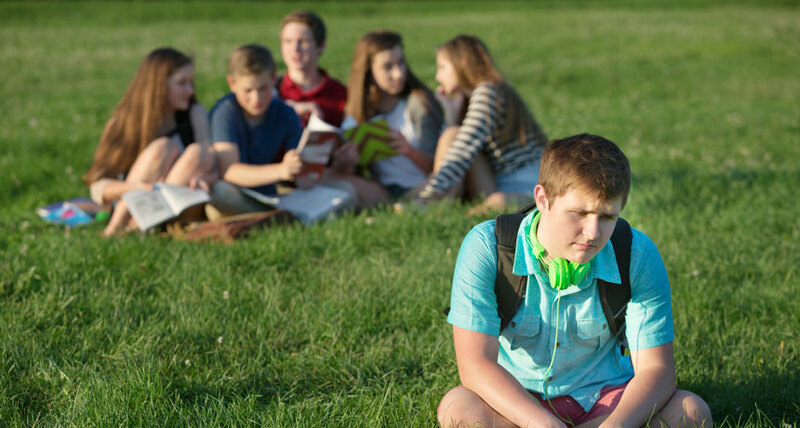 A teen with acne may be excluded from a group or judged harshly by his or her peers. The social and emotional scars of acne may hurt more deeply than the physical ones. Pimples pop up on teen faces all the time. In fact, 85 percent of adults have experienced an outbreak of painful, embarrassing zits at some point. So wouldn’t it make sense for these people to feel sympathy for others with acne? After all, they know what it feels like. But a new study shows that this often isn’t what happens. Most people respond to images of acne with disgust and fear rather than understanding. And acne provokes stronger feelings of revulsion than most other skin conditions, the new study reveals. Researchers at Massachusetts General Hospital in Boston recruited 56 volunteers. They ranged in age from 18 to 75. Those people looked at pictures of mild, moderate and severe cases of common skin diseases. These included acne, cold sores and warts. There were also images of an itchy red rash known as eczema (EK-zeh-mah) and a type of scaly rash known as psoriasis (Soh-RY-ih-sis). After viewing each skin condition, the volunteers answered a questionnaire. It probed their feelings and beliefs about each condition. “We were trying to get a gut reaction,” says Alexandra Boer Kimball. She is a medical researcher and dermatologist at Harvard Medical School in Boston, Mass. Her team reported its results March 4 at the American Academy of Dermatology Annual Meeting in Washington, D.C. The acne images upset more than 60 percent of the volunteers. Only cold sores bothered more people. (Cold sores are a skin condition in which small blisters appear near the lips.) Fewer than half of the participants found the pictures of psoriasis and eczema distressing. In addition, most volunteers believed things about acne that are not true. They are myths. One is that the people with acne don’t wash often enough. In fact, even the cleanest people can end upwith pimples. And washing too much can actually make acne worse. All that scrubbing can make skin swell and redden with inflammation. Half of the volunteers believed another myth, as well — that acne is contagious. That also isn’t true. These false beliefs didn’t surprise Kimball. She often dispels myths about acne in her work with patients. However, she was surprised that 45 percent of the volunteers would feel uncomfortable touching a person with acne. In addition, 41 percent said they wouldn’t go out in public with that person. And almost 20 percent wouldn’t invite that person to a party or social event. If adults were this harsh toward people with acne, Kimball says, teens’ attitudes toward their peers with pimples might be even more extreme. Teens are less likely than adults to understand the causes and cures for acne. Vineet Mishra is a dermatologist at UT Medicine, part of the University of Texas Health Science Center in San Antonio. Hewas not involved in the study. He, too, suspects that kids with acne have a more difficult time than adults. For that reason, he says, “acne should not be viewed as simply a medical condition.” Acne can have a huge impact not just on the skin but on the thoughts, emotions and social lives of people of all ages. Both Kimball and Mishra agree that the way to fight acne myths is with education. “If you have acne, you are not alone,” says Kimball. Teens can visit a doctor (especially a dermatologist) to get information on how to prevent and manage outbreaks. acne A skin condition that results in red, inflamed skin, commonly called pimples or zits. cold sore A common skin condition, caused by the herpes simplex virus, in which small, painful blisters appear near the lips. dermatology The branch of medicine concerned with skin disorders and their treatments. Doctors who treat these disorders are called dermatologists. eczema An allergic disease that causes an itchy red rash — or inflammation — on the skin. The term comes from a Greek word, which means to bubble up or boil over. inflammation The body’s response to cellular injury and obesity; it often involves swelling, redness, heat and pain. It is also an underlying feature responsible for the development and aggravation of many diseases, including acne. psoriasis A skin disorder that causes cells on the surface of the skin to grow too quickly. The extra cells build up in thick scales or dry, red patches. wart A common skin condition, caused by the human papillomavirus, in which a small bump appears on the skin. zits A colloquial term for the pimples caused by acne. K. Hulick. “The truth about zits.” Science News for Students. January 22, 2016. K. Hulick. “Explainer: What is skin?”Science News for Students. January 22, 2016. K. Hulick. “Minty fresh zits treatment?”Science News for Students. January 22, 2016. T.H. Saey. “How this vitamin can foster pimples.” Science News for Students. July 9, 2015. B. Brookshire. “Scientists say: Inflammation.” Eureka! Lab blog. January 12, 2015. H. Westrup. “Loneliness can breed disease.”Science News for Students. April 19, 2014. H. Westrup. “Explainer: Tips for overcoming loneliness.”Science News for Students. April 19, 2014. E. Sohn. “Worlds of self-esteem.” Science News for Students. August 25, 2004. Learn more about acne from the National Institutes of Health. Original Meeting Source: K. Shahwan et al. “Stigmatization of acne.” American Academy of Dermatology Annual Meeting. Washington, D.C. March 4, 2016.